Click on the links below to open a printable PDF file. These schedules have been formatted for a tri-fold brochure. 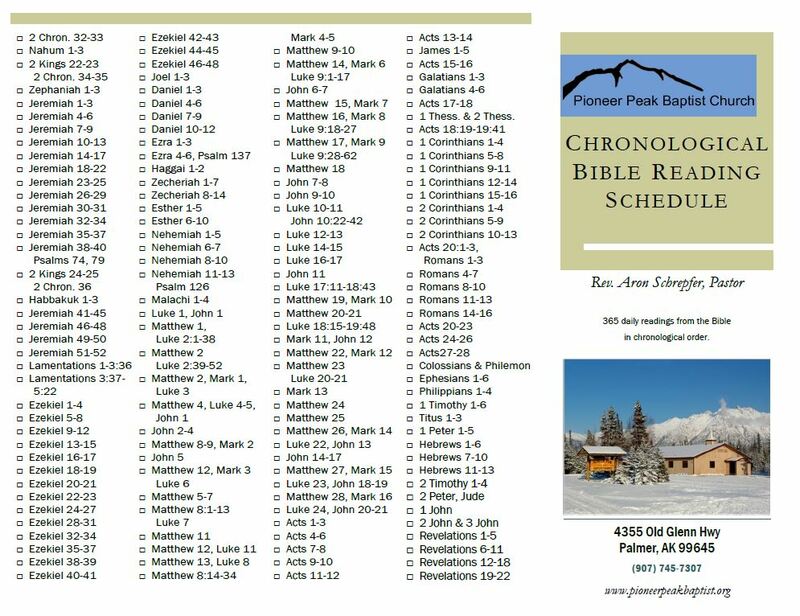 This Chronological Bible Reading Schedule is 365 daily readings from the Bible in chronological order. Reading this schedule once daily will bring you through the whole Bible in a year. 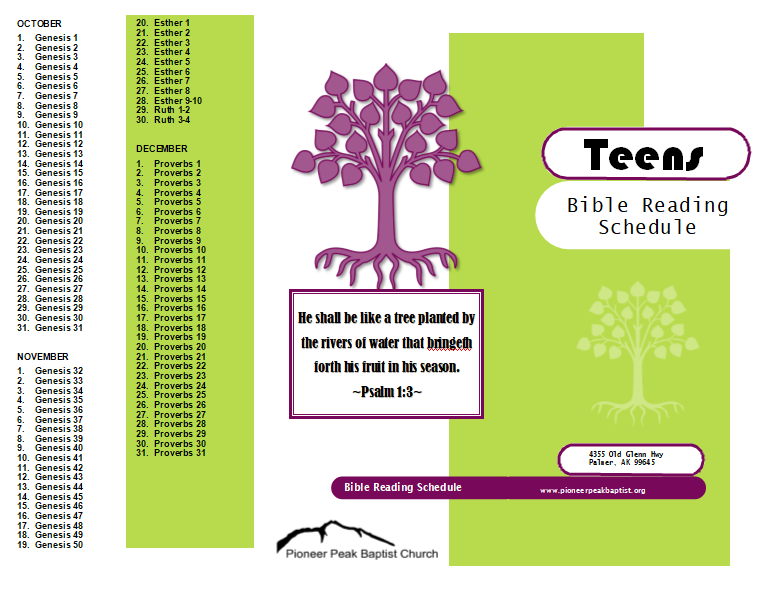 The Teens’ Bible Reading Schedule takes the reader through the New Testament plus Genesis, Ruth, Esther, and Proverbs. 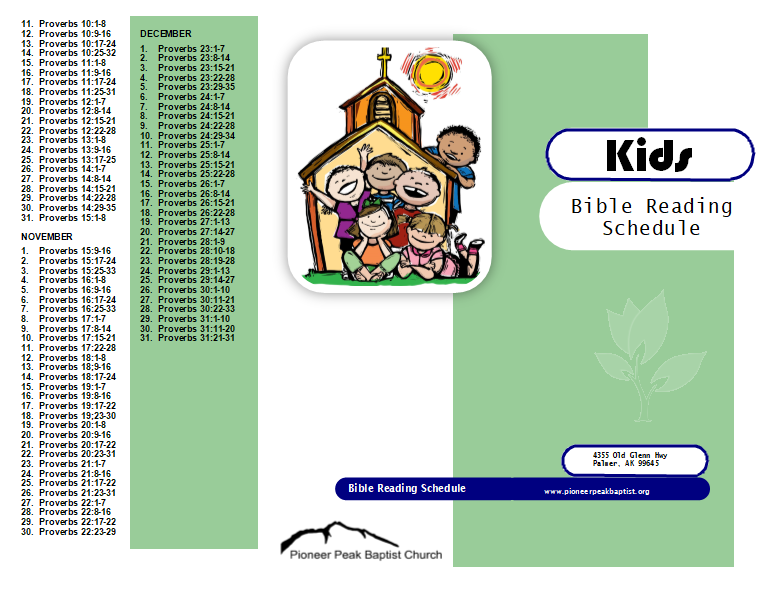 The Kids’ Bible Reading Schedule takes the reader through Psalms and Proverbs in one year. 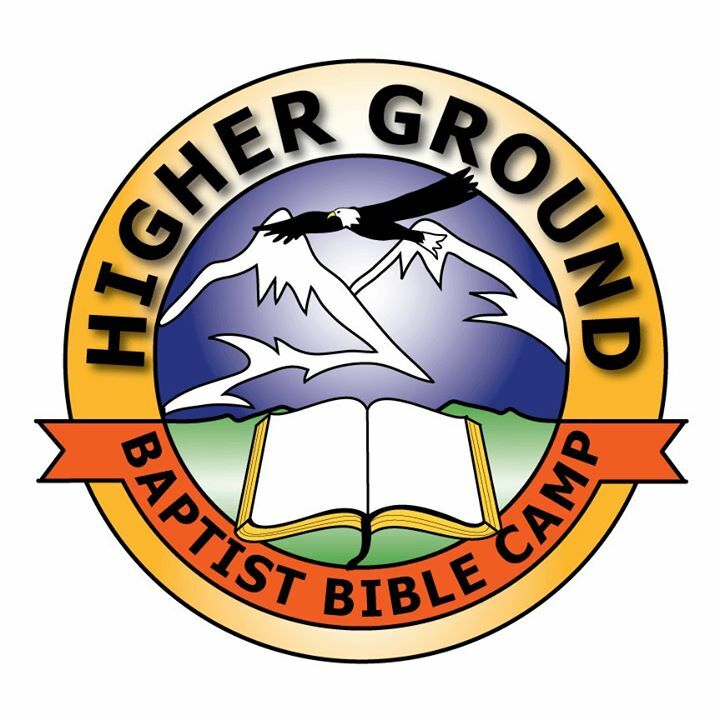 Check out Faith Baptist Bible College‘s and Aletheia Baptist Ministries’ Bible Reading Schedules, too.